As the month comes to an end, here comes more and more leaks regarding the alleged upcoming devices from Samsung – the Galaxy S4 mini, Galaxy S4 Zoom and Galaxy S4 Active. In the latest rumor mill is a set of images of the rumored Samsung Galaxy S4 Active that touts almost the same goodness as the Galaxy S4, but a rugged water- and dust-proof exterior for all those, like me, who cannot last a week without dropping your phone at least once. 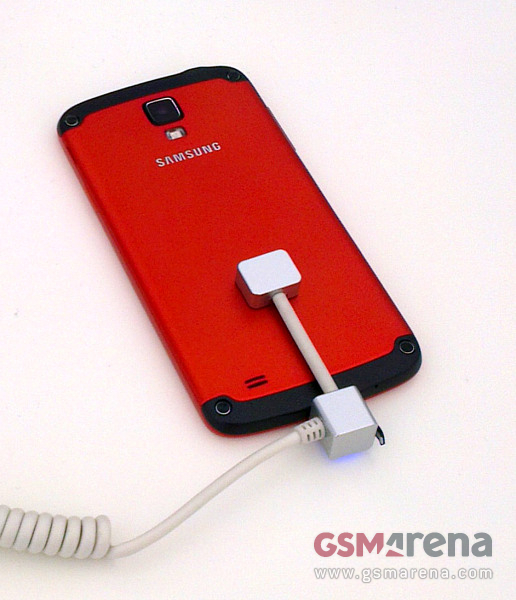 According to the leaked images, the device carries the same design language with the recent line of Galaxy smartphones, except that it has a different casing (possibly made out of a “tougher” material that is hopefully not plastic), and three physical buttons at the front as opposed to one on the original S4, hit the break for one more image. 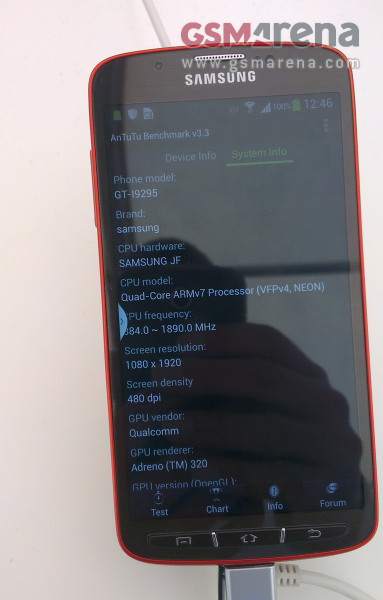 In the specifications department, just days ago, the Galaxy S4 Active made an appearance in the GFX benchmark site, revealing some pretty interesting specs. First up, unlike previous rumors, the S4 Active will pack a 1.9GHz quad-core Qualcomm Snapdragon 600 processor, 1080p display, and will run on Android 4.2.2 out of the box with TouchWiz interface. True enough, according to the specifications in the latest leak, the Active does indeed come with a quad-core Qualcomm processor , a full HD display resolution though, the 480ppi suggests that it might pack a slightly smaller display; the S4 has a 441ppi display. 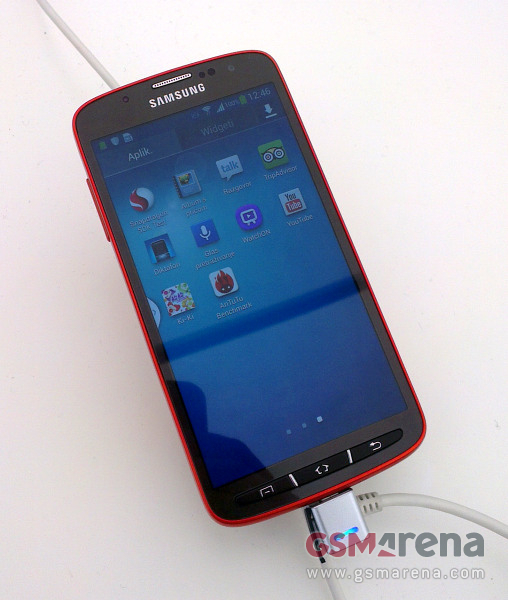 Finally, according to the tipster from GSMArena, the S4 Active will have an 8MP rear camera. How many of you are actually waiting for this?